WRAPUP: Beautiful weather brought out about 25 MINIs for the parade. Several new members and first timers were in attendance. 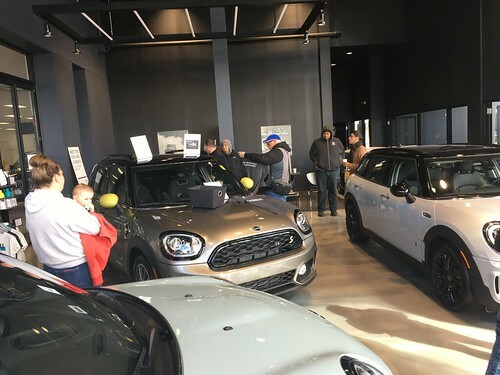 We had a few give-aways for everyone provided by MINIUSA. The MINIs were a big hit with the crowds along the parade route and a fun time was had by all. 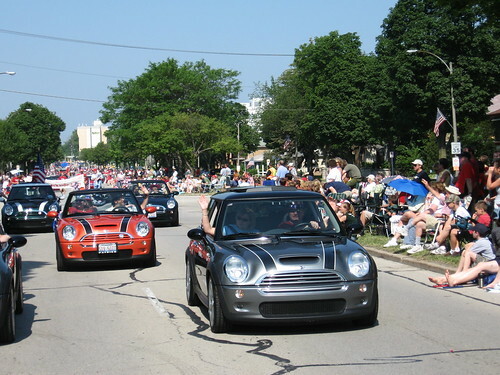 MINIs will be on parade at the Buffalo Grove Parade on Sunday September 3rd!! We are looking for as many MINIs as we can for a strong showing! !